It’s half term (yes my girls get 2 weeks off!) 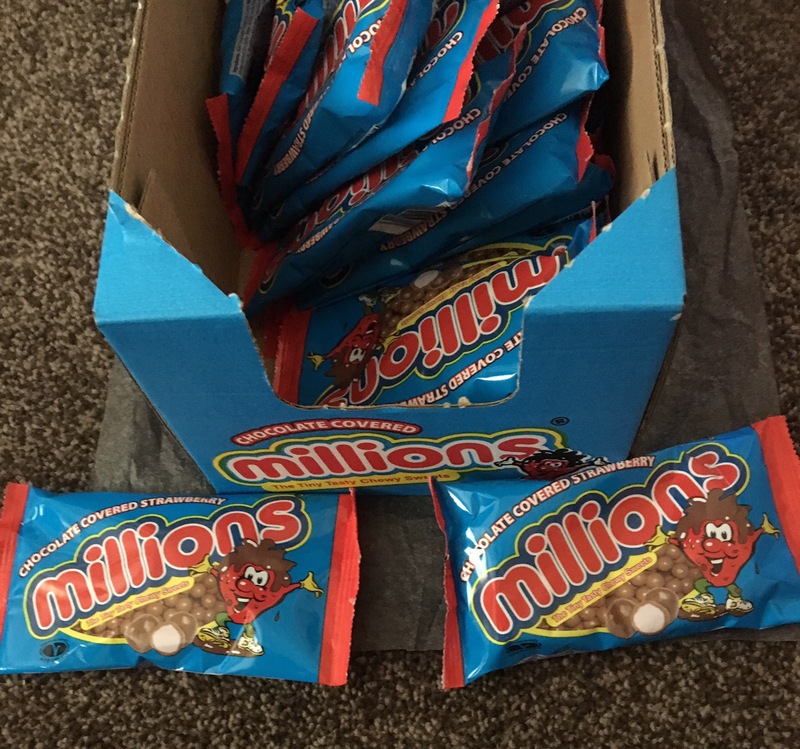 which means kids are off school and wanting things to do, plus snacks and sweets of which we have many thanks to millions sweets from Golden Casket UK. 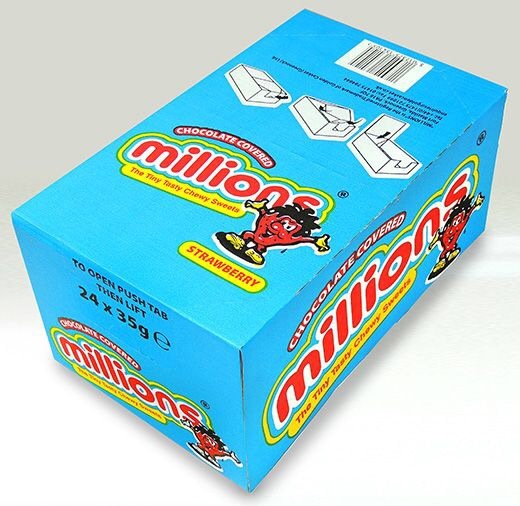 I think most people in the UK will be familiar with millions sweets as they have been around for a long time. I remember them when I was a teenager and according to my kids, I’m prehistoric. 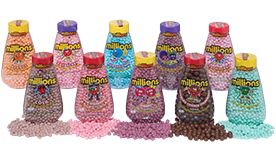 Millions are packets, jars, tubes and shakers full of tiny flavoured sweets and imagine they are called millions because of their size and because there are loads (millions) per pack! Millions have recently bought out two new flavours to add to their already very long list. The flavours are sour strawberry and chocolate covered strawberry and it’s the latter which we have. Yes we have a big box full of chocolate strawberry millions and I’m not making it up when I say that these have to be my overall favourite variety of millions sweets so far. Our big box came filled with 24 35g packets. 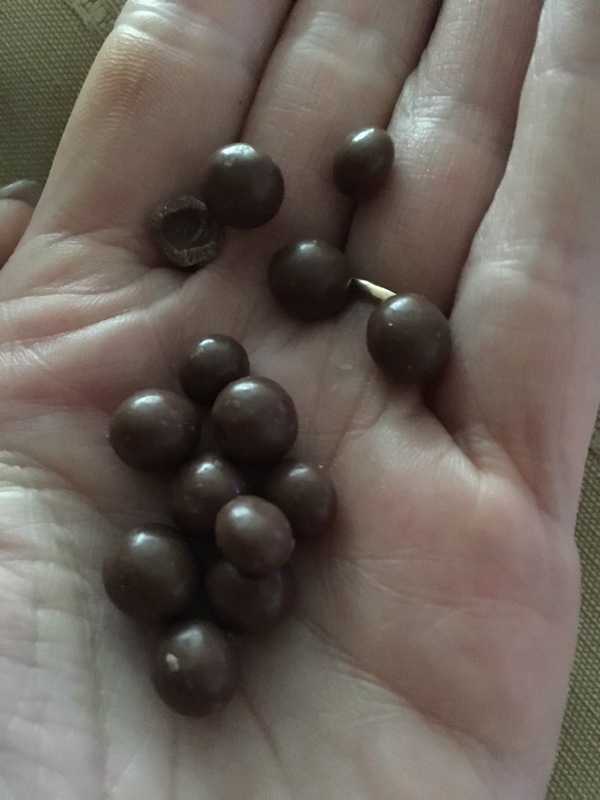 Each packet containing hundreds of these tiny chocolate covered balls. More than enough to last us throughout the half term. I don’t eat a huge amount of sweets myself, I tend to just lightly pick at my kids and have the odd one or two when they have them, but these little chocolate balls are just so nice. It’s chocolate and then a slight crunch and I’m into the strawberry burst of flavour infused with the chocolate in each bite. They even taste good with a hot drink too. These can be found in many sweet shops, stores, supermarkets across the UK and various online stores too.